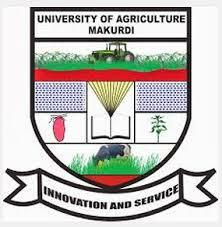 Applications are invited from suitably qualified members of the public to the Federal University of Agriculture (FUAM) Sandwich Programme admission for the 2017/2018 contact session. How to Apply for FUAM Sandwich Admission. Create an account online by providing your email address and chosing a password (if you have not done that previously). Upon creation of account, a unique application number will be issued. Copy the application number in a safe place (An email will be also sent to you containing your application number if your email address is valid). It is your reference number through out your application. A comfirmation slip will be issued to you containing a 14-digit unique number as Payment Identification Number (PIN) which will enable you continue your application. Please ensure this number is on the slip printed. Applicants are required to submit four (4) copies of the completed form to Academic Office with their academic credentials attached. Candidate seeking admission must have NCE as requirement. Candidates with IJMB, HND and First Degree may be considered. For details of O’Level requirements for the various programmes, contact the Sandwich office.